Are you exploring educational opportunities for your toddler, Pre-K or Kindergarten student? Please join us at one of our upcoming Information Nights for new families! We host two Information Nights a year—one in November and one in February. Please see the Calendar for details. 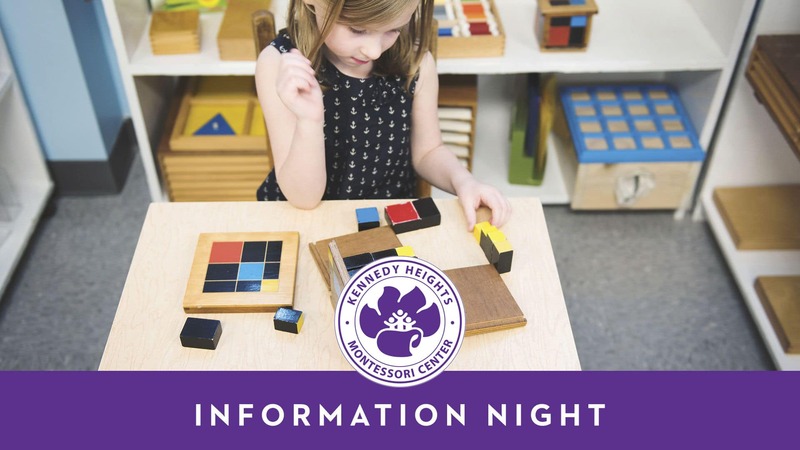 Now in our 54th year, Kennedy Heights Montessori Center (KHMC) is dedicated to preparing young people for success with an educational approach grounded in diversity, respect, peace, relationships, honesty, and compassion. We invite you to tour our colorful and inspiring new campus and to hear from our teachers and current families about being part of the KHMC community! Childcare will be provided.